As pleasant and popular as “sweet” music could be, sometimes jazz and boogie woogie artists simply had to let loose and show what they were capable of. And thank God for that. Set to an incredibly fast, eight-to-the-bar beat, “Jumping at the Woodside” is pure Kansas City energy through and through. It is also riotously fun, a bluesy romp that must have sent dancers into a frenzy. The solos come fast and furious and each one is a keeper. A stomping opener from Basie on piano is followed by a wailing flurry from Earl Warren on alto sax and then back to Basie again for some of his trademark, spare but genius piano playing. We then get an assertive blast and wonderful solo from Buck Clayton’s muted trumpet and a honking but perfectly fluid tenor sax solo from Lester Young that sounds like rock and roll come two decades early. Finally, a fiery, take-no-prisoners turn on clarinet from Herschel Evans ends the record in amazing fashion. Songs with vocals tend to be primarily a showcase for the singer, but someone forgot to tell that the Basie band on this record. It’s not that Jimmy Rushing doesn’t give a strong performance: “Sent for You Yesterday” is a great example of his potent vocal presence. But Rushing is limited to a single verse, and the band impatiently taps its toe the entire time he’s singing, stirring noticeably after every line. Before Rushing even enters, the band has firmly entrenched itself in hot blues with some call-and-response playing featuring Earl Warren’s floating alto sax, Basie’s tinkling piano and some growling, muted trombones. And Herschel Evans has already played an absolutely gorgeous, full-bodied chorus on tenor sax. As soon as Rushing is finished, the instruments immediately kick up the energy again and let out all the stops, first with a rousing call to action from Harry “Sweets” Edison on trumpet and then wailing in unison while drummer Jo Jones bangs away furiously in response. 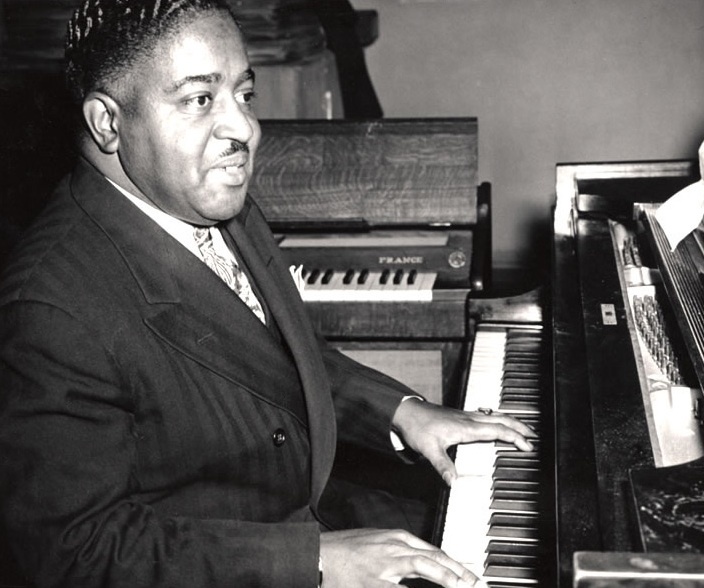 Pete Johnson helped kick start the national boogie woogie craze in a series of concerts with fellow pianists Meade “Lux” Lewis and Albert Ammons beginning in 1938. 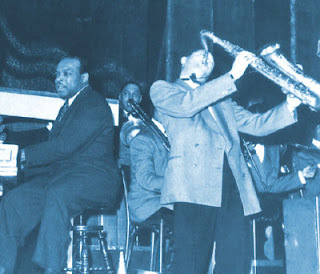 “Roll ‘Em Pete” is a good example of his playing and also features commanding vocals from Joe Turner, who would go on to become one of the most popular blues “shouters” of the post-war “jump blues” scene. Johnson’s playing is solid throughout and his solo in the middle is very entertaining. While he is not as flashy as Lewis or Ammons, he plays with a real feel for the blues and provides perfect accompaniment for Turner’s boisterous but highly disciplined voice. Turner is really amazing, singing each line at the top of his lungs and yet with amazing clarity and control: “Well, you so beautiful, but you gotta die someday / All I want is lovin’, babe, give before you pass away!” Together, the two men create one of the not-to-be-missed blues performances of the 1930s.